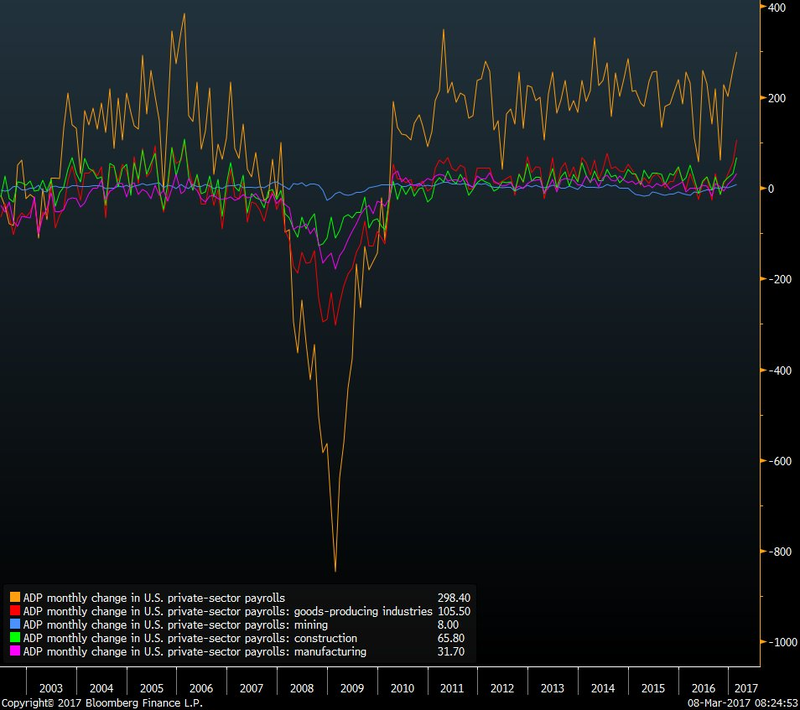 The only economic data worth mentioning this morning is a report from ADP, which showed that business hiring continued to strengthen in America last month. 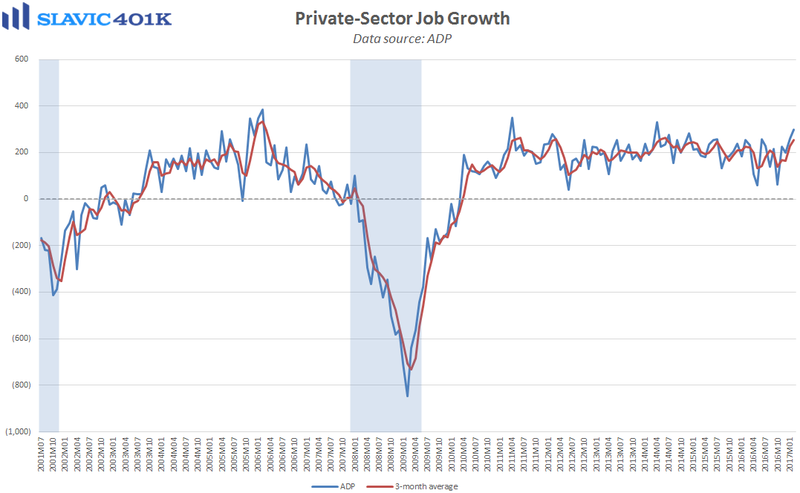 Specifically, 298K private-sector payrolls were added to the economy in February, an improvement from January’s upward-revised 261K gain, the largest monthly increase since April 2014, and much better than economists had expected. The less volatile 3-month average for ADP’s hiring estimate rose to +253K in February, the highest reading since June 2014. 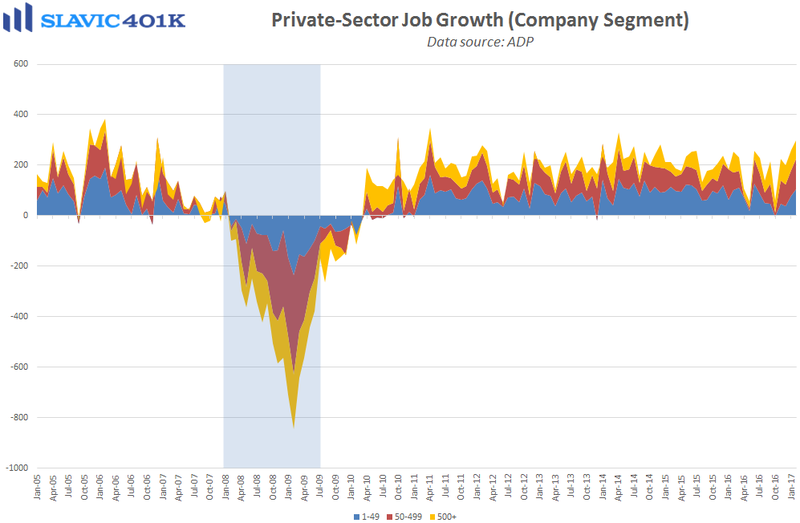 Under the hood, most of the private-sector payrolls added last month were as usual found in the services sector (+193K), including large gains in the “professional & business,” “education & health,” and “leisure & hospitality” arenas. However, payrolls in the goods-producing sector experienced a net gain of 106K jobs in February, the largest monthly increase on record and another encouraging sign that the industrial recession in America is ending. 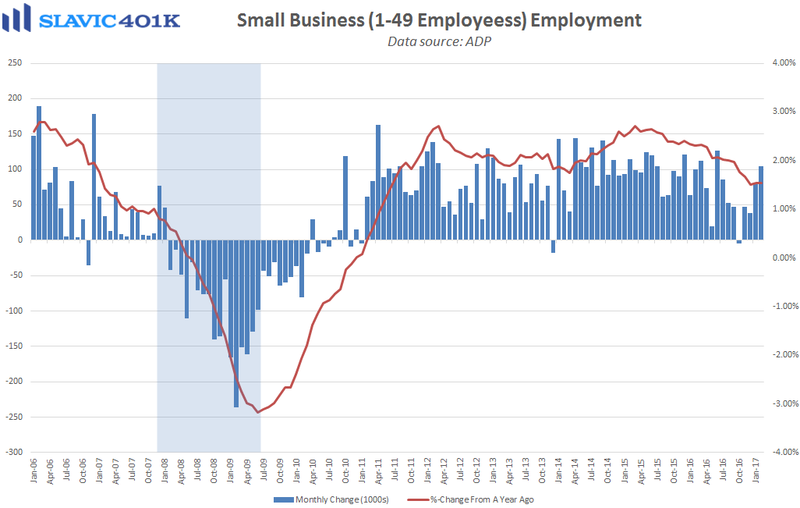 Another highlight from the report is that small business hiring jumped to 104K payrolls in February, the highest monthly reading since June of last year. Mark Zandi, chief economist of Moody’s Analytics, added that “Unseasonably mild winter weather undoubtedly played a role. But near record high job openings and record low layoffs underpin the entire job market.” Altogether this was another encouraging report that will make it easier for officials at the Federal Reserve to justify an interest rate hike at this month’s monetary policy meeting.